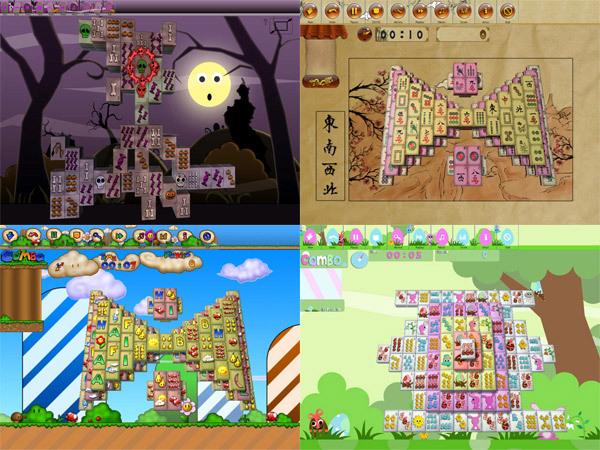 In-Poculis Mahjong is a fun solitaire memory game where players have to select identical tiles to make them disappear. The main constraint is that they have to be on the layout's borders. All of the Mahjong pieces must be cleared, but it takes some discipline, strategy, and a little bit of luck to win the 5 medals of each theme. We hope that players will be honest enough to make a donation of their choice to support us because it required a long development time and expensive professional softwares. To get your registration code, you can make a donation via the most secured payment system on Internet: Paypal by clicking here for Euros or by clicking here for Dollars. We send you a Mahjong In Poculis Sponsor magnet for 8 euros donations and we add the game CD for 16 euros donations! Your registration code will be shown just after your order validation. It will be valid forever and for all the next versions of the game. you will be able to play all the layouts using your favorite theme! you won't be redirected to this website anymore on game exit. A Classic Mah Jong Solitaire game! Qweas is providing links to In-Poculis Mahjong 4.2 as a courtesy, and makes no representations regarding In-Poculis Mahjong or any other applications or any information related thereto. Any questions, complaints or claims regarding this application In-Poculis Mahjong 4.2 must be directed to the appropriate software vendor. You may click the publisher link of In-Poculis Mahjong on the top of this page to get more details about the vendor.